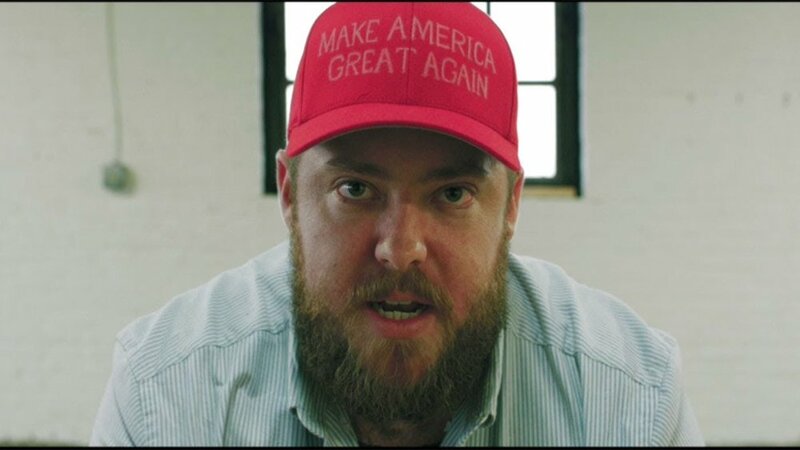 When Joyner Lucas released his video ”I’m Not Racist”, depicting a Trump supporter and a black man listening to each other’s stories, it was met with a great deal of praise from liberal online circles. Some hailed it as exactly what America needed in the current political climate; others went as far as to claim it should win a Grammy. But over a year later, the message seems to have landed flat. Dialogue around discrimination and oppression has exacerbated hatred and division among Americans in recent years, especially due to its relevance in today’s politics. Democrats accuse Republicans of perpetuating discrimination and oppression through the Republican agenda, and Republicans accuse Democrats of undermining freedom and capitalism. Of course, discussion around discrimination including racism, sexism, and homophobia is crucial to ensuring freedom for all. But the trajectory this discussion has taken is problematic. We are, generally, too quick to generalize people due to political affiliation. The Editorial Board has a radical proposition: we must understand both sides of every story, because if we want to make any progress in the fight against discrimination, we must cure the misunderstanding that causes it. The first step in bringing Americans together has to be giving fair thought both sides of every story. Joyner Lucas delivers this message brilliantly in “I’m Not Racist”. The Trump supporter in the video talks about how hard he works and how he pays his taxes, but feels like black people are free riding on his efforts. He’s frustrated that black people seem to prefer selling drugs to getting a job. And those are valid reasons to be frustrated. But there’s another side. The young black man explains how he doesn’t have a job so he can’t pay taxes. He’s waiting to hear back from job applications, but in the meantime he has to sell drugs to feed his family. Yes, the white man is racist, but it’s because he’s been led to believe through hateful rhetoric that his frustration is a result of a certain race. If you work hard every day to put food on the table, and were then told there were other people free riding off of your hard work, one might lash out. Racism, sexism, homophobia, and other forms of discrimination and oppression come from misunderstanding. A failure to see the humanity in each other, to listen to each other’s stories. If these men took the time to talk to each other, we could come closer to curing discrimination. While it is important to listen to each other’s stories, that doesn’t mean we should tolerate dehumanizing viewpoints and view them as “valid opinions”. Such views are never valid and will never be valid, and people who hold these opinions ought to be led away from them. However, it is harmful to society to assume people hold these beliefs due to a political affiliation. You might argue “well a vote for Trump is a clear vote for sexism and racism, isn’t it?” A vote for a racist is a vote for racism, so it follows. However, consider last month’s events in Virginia. The Democratic governor faced allegations that he either wore blackface or dressed as a Ku Klux Klan member, facing pressure to resign. The next in line to replace him though, Democrat Justin Fairfax, has been accused of sexual assault, also facing pressure to resign. So who would replace him? Democrat Attorney General Mark Herring is next in line. But surprise! He also admitted to wearing blackface when he was younger. Most people would agree that all three men should resign. But if they did, who would be governor? A Republican. For many voters, it wasn’t a vote for sexism or racism or any discrimination. It was truly a vote against the establishment. Yes, there is a strong argument that a vote for a racist and misogynist is a symbol of tolerance for racism and misogyny. No, we should not tolerate such ideologies. And yes, if someone blatantly perpetuates discriminatory rhetoric, it is our civic duty to speak out. But consider all sides of an issue before making assumptions about people’s values. America has the potential to create a society where we make informed decisions about key issues, give everyone an equal opportunity to climb the social ladder, and eliminate discrimination. But for a country that deeply disagrees over a wall to keep out immigrants, it’s ironic how eagerly we’ve built a wall to keep out those who disagree with us. If we want to become that society, we must tear down this wall, listen to each other, and give each other the benefit of the doubt.